24-channel servo control board (51.0 x 43.5 x 1.6mm) 2 x 16-channel servo control board (63 x 25 x 1.6mm ea) No thanks! Thats a lot of servos to control; here is some help! 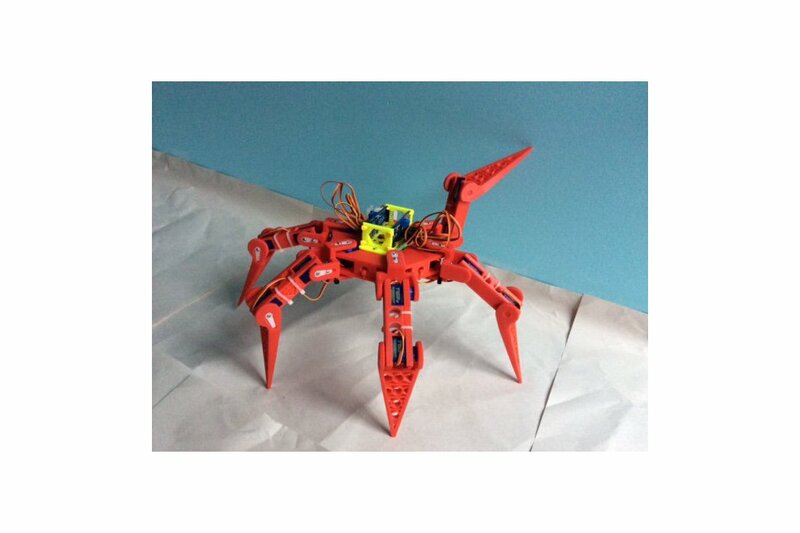 This 3D-printed hexapod robotic platform frame was designed and built from the ground up. It measures about 20" (50 cm) from leg tip to leg tip. Designed around the nylon gear 9g servo form, it is ready for motors, a servo control board, power supply and supporting software/controllers. You can take advantage of the built-in hardware assembly options or opt for a 90% zip-tie build! 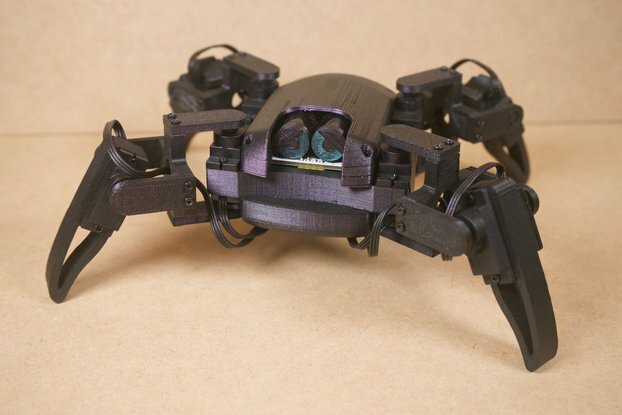 Designed to operate as both a typical 18 degrees of freedom hexapod and also as a 'high-floatation' 12 degrees of freedom hexapod. The larger surface area is provided by the end segment of the leg laying flat on a surface like snowshoes or flippers. Designed for use with SG90 servo motor, and redesigned for use with the MG90 servo. Custom colour schemes available. The model pictured is sporting a custom rack for 16 channel servo control boards (optional), other custom mounting structures available upon request.